With 41 reviews (mostly 4 and 5 star with a couple of three stars) Away With The Fairies has hit the spot for a lot of readers. In a bid to sway the waverers, it’s on special offer for the next week, first at 99p for three and a bit days, then going up to £1.99 for another three and a bit, before returning to its very reasonable original price of £2.65. It’s the perfect book for this time of year; with Halloween coming up on Saturday, it’s the time when traditionally the veils thin between this world and the Otherworld, and we honour those who have gone before us. If you haven’t read it yet, now’s the time to grab it. If you have already read it, I’d love to see the review count rise with more good reviews. And as an added bonus, The Hedgeway (a chilling tale for Samhain) is just 99p worldwide (whatever that converts to in other currencies) until All Souls’ Day. So that folks in the USA don’t feel left out, Away With The Fairies will be on countdown from today, for 120 hours at 99 cents first and then at $1.99, then at $2.99 before going back to its original price of $3.99 on the 10th of December. I don’t think I have put this on sale in the USA before, so I shall be very interested to see what happens. I’m a bit chuffed to say the least. It’s been there the last couple of days. A huge thanks to all who bought during the sale. It’ll be 99p for the rest of today (well, the next 9 hours) and then £1.99 for another 3 before going back to original price. 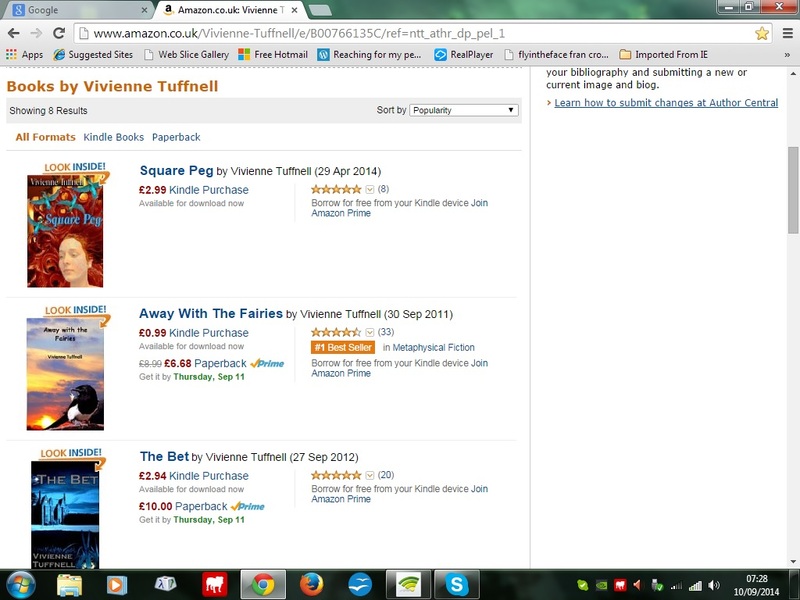 For a limited time only, Away With The Fairies will be on offer at first 99p then going up to £1.99 before returning to its normal price of £3.08. UK only.